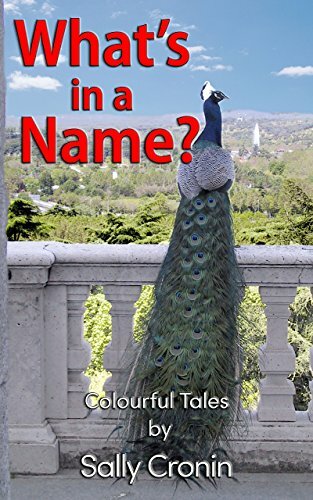 This entry was posted in blogging, Review, romance, Short stories and tagged books, names, people, Sally Cronin, Short stories, What's in a Name? 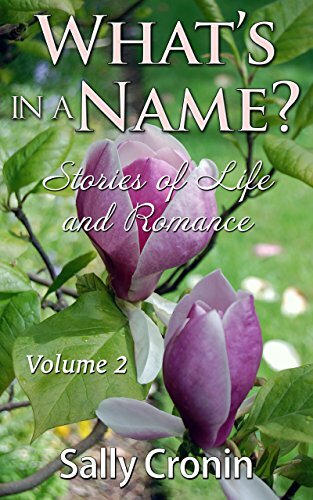 Volume 2: Stories of Life and Romance by Judith Barrow. Bookmark the permalink. I really must get these out of my TBR pile and actually read them! Thanks for your great reviews. I also enjoyed Sally’s first volume and look forward to the second. It’s lovely to see her making the rounds and getting some great press on her books! Lovely review, Judith. But with Sally as subject how could it be otherwise? Hugs all around. It sounds like you read like I do, Judith – cover to cover, even with shorts that can be taken one at a time. I am SO looking forward to the ride. I need to figure out how to get Vol. I off my computer and onto my Kindle, and your lovely reviews make me want to do so NOW (even though it’s almost dawn and I really do need to head to bed). Thanks for this, Judith. I copied it to TextEdit so I am SURE I can find it again when I awaken. You’re a doll! I’m assuming the fake email must be attached to my Amazon account? I don’t see a ways to email enable the Kindle — not that I’d want to get the eglut in TWO places anyway, so the wisdom of the fake one is not lost on me. Your instructions aren’t the problem, Judith – it’s my lack of familiarity with new tech stuff. I had planned to tackle it today, but a rare drop-in visit from a friend and his dog changed the agenda. And NOW it is 3AM again. It will happen – especially thanks for your kind explanations – it just may take more time to get it DONE. Thanks for the time you took helping me. I TRULY appreciate it. I’m sure I will – I can be a bit dense about tech stuff sometimes, but I eventually prevail. Knowing that your book is waiting for me is great motivation – and learning MOBI conversion will come in handy in the future I’m sure. Lovely review Judith, really whetted my appetite! I am delighted to read these wonderful reviews of Sally’s books, Judith. I loved Book 1 and have Book 2 on my kindle waiting for me. I am planning to read it on my flight home. It will happen – especially thanks for your variety explanations – it just may aim more prison term to stimulate it DONE.